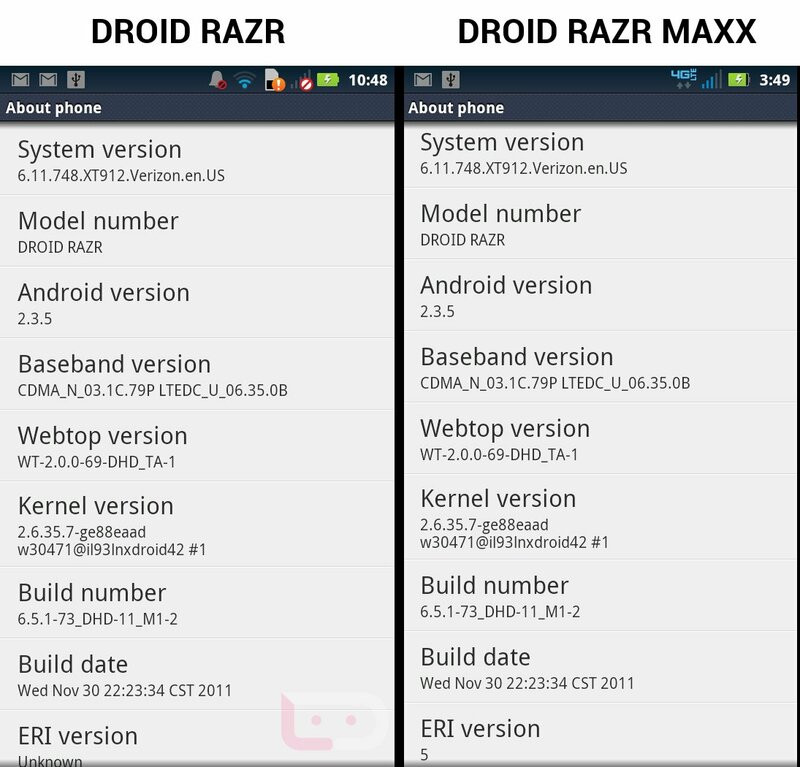 During the filming of our RAZR MAXX unboxing, we noticed that the device appeared to be running the exact same version of Blur that was introduced to the original RAZR through the last OTA update. We found this odd as we have seen re-hashes of products in the past that while very similar, will still cary slightly different software versions. The problem with manufacturers doing that (and it could be for hardware reasons), is that they need to develop separate OTA updates for each specific device. And when they have to work on two different updates, that usually means it will take longer for end users to receive them. 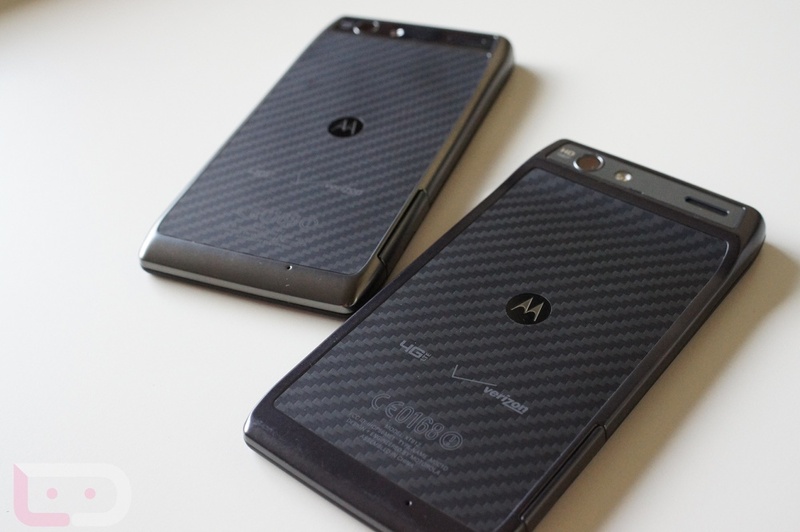 Well what if that isn’t the case with the RAZR MAXX? By all accounts, the MAXX is identical on the hardware front to the RAZR aside from a bigger battery, and now that we can see that they run the same software, in theory they should be able to run each other’s ROMs and OTA updates. As you can see, they run the same kernel, Webtop software, Blur build, version of Android, and were built on the same date. It’s the same software, folks. Our brave friends over at the Android Source ran with our discovery and actually flashed a ROM and the leaked OTA update that we posted earlier in the week with success. Now, you need be very careful in doing something along these lines, but the early signs point to everything being interchangeable that has been done on these two phones. That may be a first.